The business offices of Heavenly Spirits are located in Lakeville, MA while the products are warehoused in nearby West Wareham, MA. Our company’s name, "Heavenly Spirits," came about in reference to what is known as “the angel’s share,” which refers to that portion of the distillation that is lost to evaporation while being aged in oak barrels. The word “heavenly” is also a translation from the French word “paradise” which sometimes refers to the oldest ageing cellar of the distiller. For us, the name represents years of research and passion for the art of French distillation. The results of our work are a collection of exceptional French spirits that are indeed “heavenly” in both quality and taste. Daniel and Christine Cooney have been promoting quality French Spirits for over twenty years. 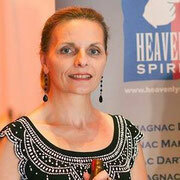 It started with Christine, who was born in the Cognac region and moved to San Francisco in 1987 as a Cognac Ambassador. The couple's interest in spirits grew further between 1994 and 1999, when they moved to France to restore a family farm in the Cognac area. During this time they had the opportunity to tour France's major spirit producing regions, including the Cognac, Armagnac, and Calvados appellations. They got to know many of the small and medium sized, family owned distilleries along the way. With the creation in 2008 of Heavenly Spirits, an import and wholesale company, the Cooneys were able to select the best of these fine French producers for introduction and representation in the United States market. Since then, their interest in the art of distilling has reached a whole new level and continues to grow. Christine (Foubert) Cooney has been in the spirits business for over 25 years, serving as broker, brand ambassador, importer, marketer and distributor for mostly French products. Born in the Cognac region of France, Christine spent summers at her grandparent’s farm north of La Rochelle, where she watched her grandfather Amedee Foubert run his winery and distill eau de vie from plums and other fruit grown on the farm. After graduating from the University of Angers with a degree in English and German translation she began work as a trilingual export assistant to the CEO of a La Rochelle based Cognac producer and continued her spirits training at the University des Eaux de Vie, Cognac. 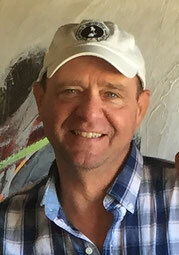 Daniel Cooney has advanced degrees in both Fine and Commercial Arts (BFA - Graphic Design, Swain School of Design 1981 and MFA - University of California, Berkeley 1989). In addition to running his own Graphic Design and marketing companies, Dan has worked as a Professor of Art and Design for over fifteen years, most recently at Bridgewater State University. His art work, mostly paintings, drawings and sculptures are in collections all over the world. He also has extensive experience in working with and promoting French spirits and is a 2014 graduate of the Babson College, 10KSB Entrepreneur program. In 1989 Christine and Daniel married and settled in San Francisco, CA where Christine continued representing Cognac producers and also became the US Director of CONEXPORT, an Italian wine consortium. After twenty years of working in the wine & spirits industry and another stay in France (1993 – 1999), the Cooneys relocated to Massachusetts and In 2008 created Heavenly Spirits LLC, a Massachusetts based Import company specializing in exceptional French spirits. In addition to serving as national importers, and Massachusetts distributors, the Cooneys see themselves as both educators and cultural ambassadors. Their immediate goals include taking Heavenly Spirits to the next level of growth as a solidly performing import /wholesale company.